Water is one of the main components of life. Without it, life would not even exist as we know it. So, it is no surprise that the quality of the water we drink and use can immeasurably affect our lives. Most of the water we use comes from underground sources. And, for this reason, it is crucial that we assess our groundwater with well water testing techniques. The purity and safety of groundwater can be affected by various factors such as location, pollution, and, even climate. Well water testing can help us determine if the water coming from our ground source is safe to drink or use. The accuracy of the test depends on the particular method used, the samples taken, and the user’s follow-through of guidelines. Well water testing is a group of techniques that test the safety and reliability of a water source. Businesses often use it to see if dangerous chemicals or materials have contaminated their water supply. Homeowners may also avail of this service if they wish to test their private water wells. There are various types of well water tests available. The most basic tests are coliform tests, nitrate tests, ions tests, sulfite and fluoride tests, total dissolved solids and more. Your local help department can help you determine which tests would be best for you. 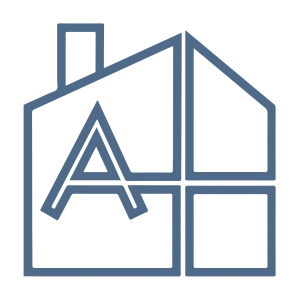 You can also contact Allegiance Home Inspection to help you decide which tests to get and why you should get them. How Does Well Water Testing Work? The technique that experts use to test well water depends on the particular contaminant they are checking for. Generally, your testing center would ask you to obtain a fresh sample of your water from, for example, your kitchen or bathroom sink. You would then have to send this sample to a laboratory that has all the necessary tools and equipment. It is crucial that you follow proper collection and storage procedures. Otherwise, you might send them a sample that may yield a false report. Some testing techniques may also be done on-the-stop to avoid sample contamination. These tests, however, are less reliable than laboratory examinations. Why Should You Test Your Well Water? Consuming water from contaminated sources can result in poisoning or sickness. Regularly testing your water can help you identify existing problems in your water source. It can also help you track changes in the quality of your water over time. Lastly, well water testing can help you determine which treatment your water source needs, and whether or not such treatment was effective. When Should You Test Your Well Water? Allegiance Home Inspection offers various good water testing services for Kitsap County and all surrounding areas. Some of the tests we offer include tests for Nitrate, Coliform, E. Coli, lead, iron-related bacteria, and sulfate-reducing bacteria. We can help you determine which tests would be best for your property. Just message us or call us and we’ll get back to you as soon as possible.